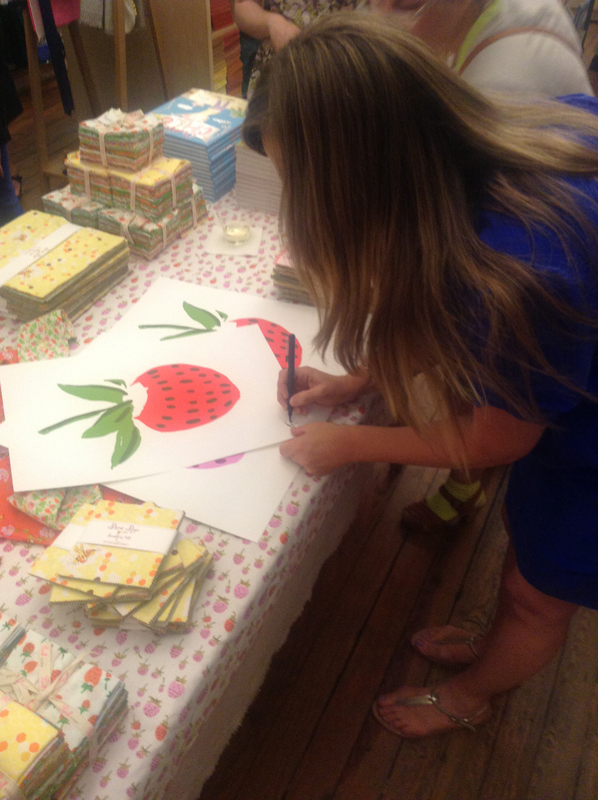 It's time to pop the champange and celebrate because Briar Rose by Heather Ross is in stores!! 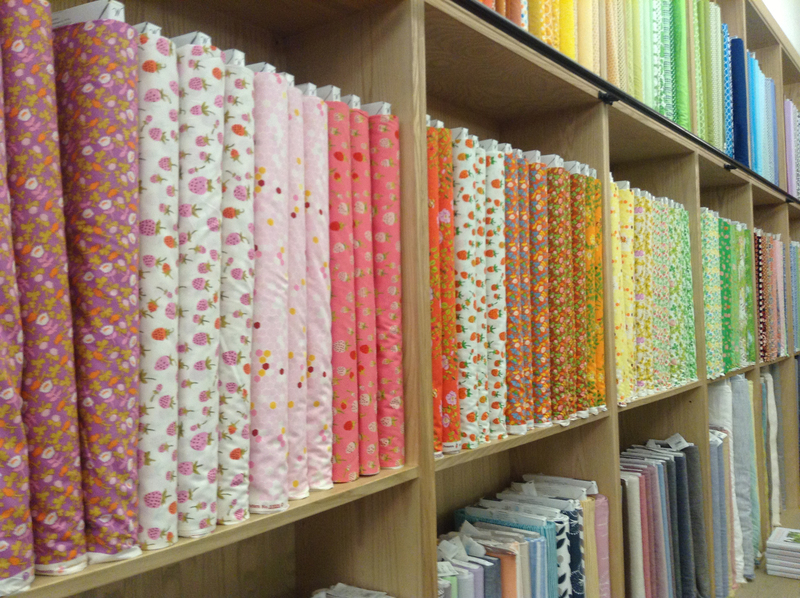 This highly anticpated fabric is Heather's first collection of quilting cottons for Windham Fabrics. Briar Rose consists of 20 enchanting SKU’s that are available in six different designs. 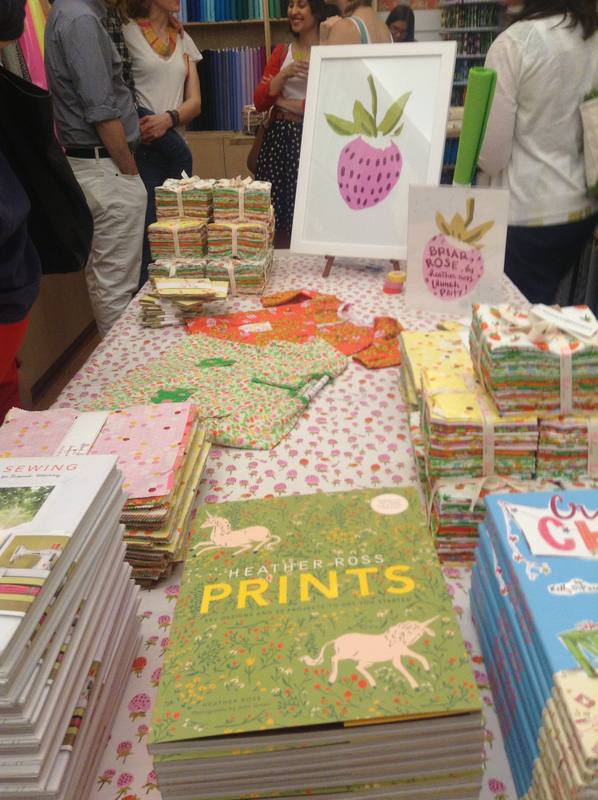 Have fun with whimsical patterns of frogs, bees, clovers and berries. The pallete is fresh, bright and perfect for sweet summer projects. 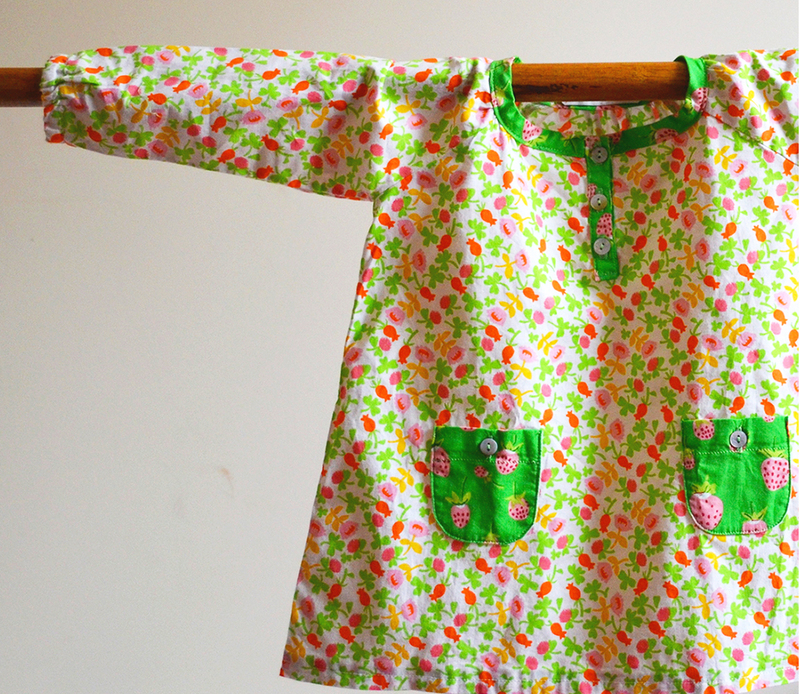 4 selected prints are offered in 100% cotton premium jersey and are ideal for baby and kids clothing. 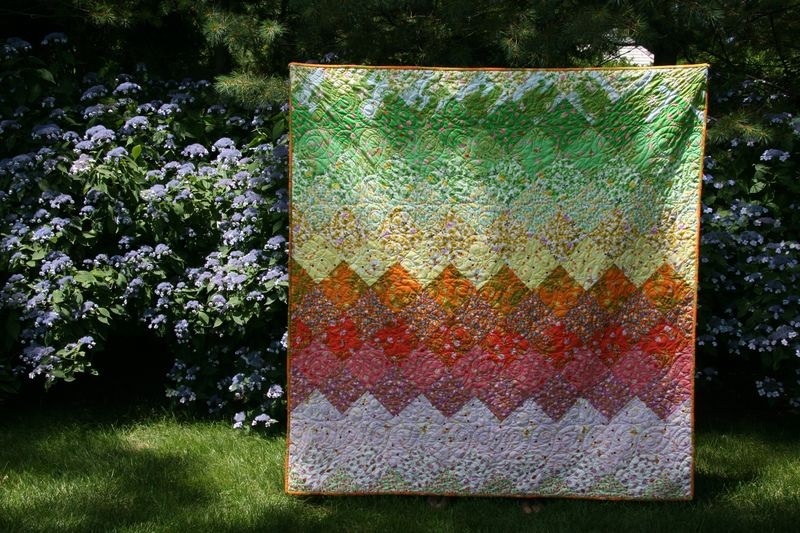 "Rainbow Quilt" designed by Rae Hoekstra from Made by Rae is our free dowlnadable project which can be found on the Windham Fabrics website. 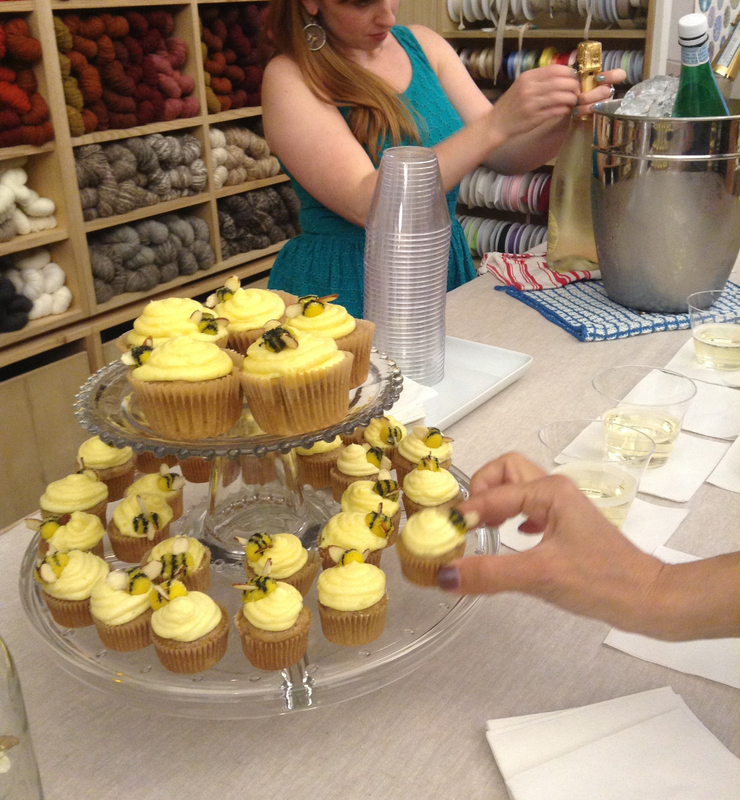 Check out some pictures of Windham Fabrics and Heather Ross celebrating the arrival of Briar Rose at Purl Soho in NYC. Heather made the cupcakes and bees! 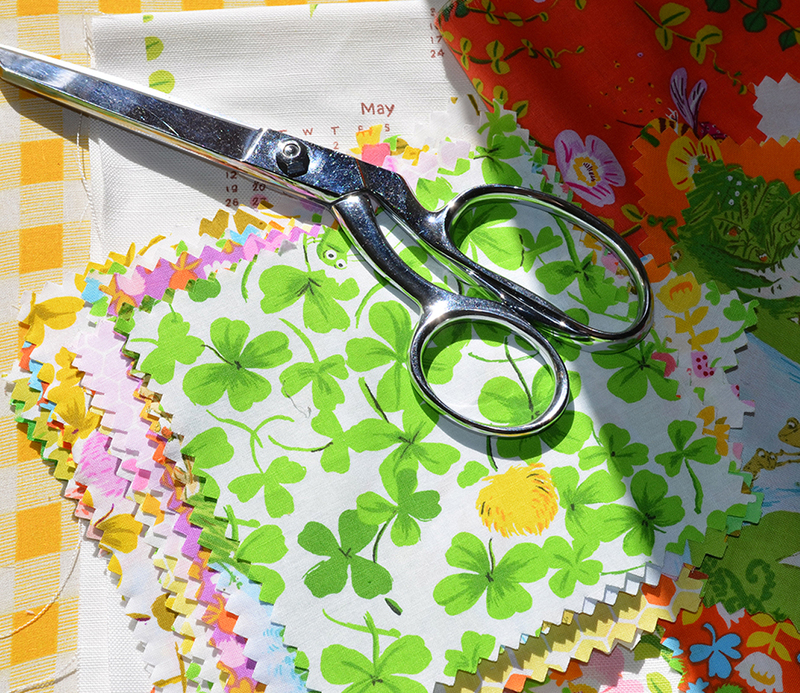 Want to share your Briar Rose projects with the quilting and sewing community? 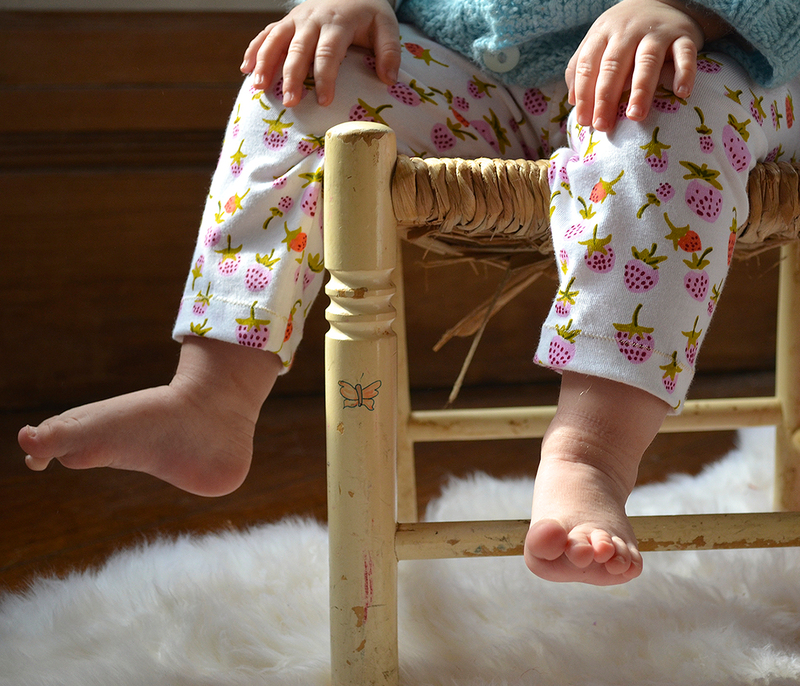 Send pictures of projects you have made with the Briar Rose fabric to jennifer@baumtextile.com. Please include your name and title of project. On August 18th I will be putting together a Briar Rose album on the Windham Fabrics Facebook Page and sharing it with our audience. 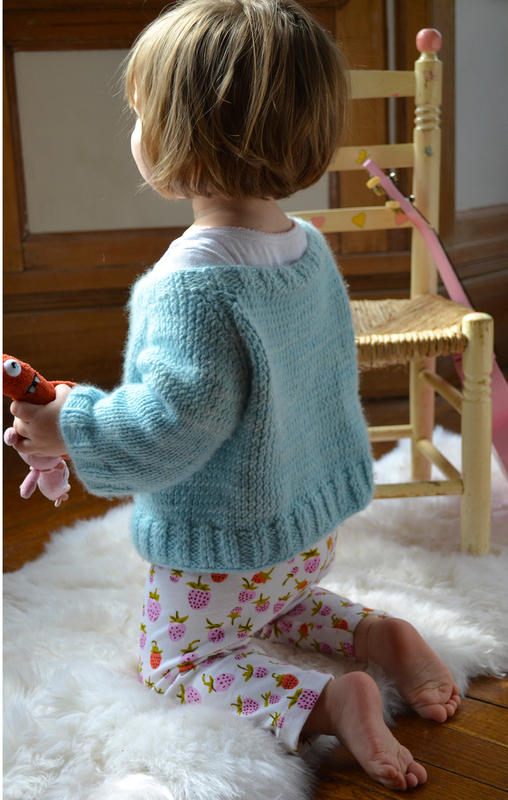 Has the pattern for the Briar Rose Tunic been posted somewhere yet? I love the collection!